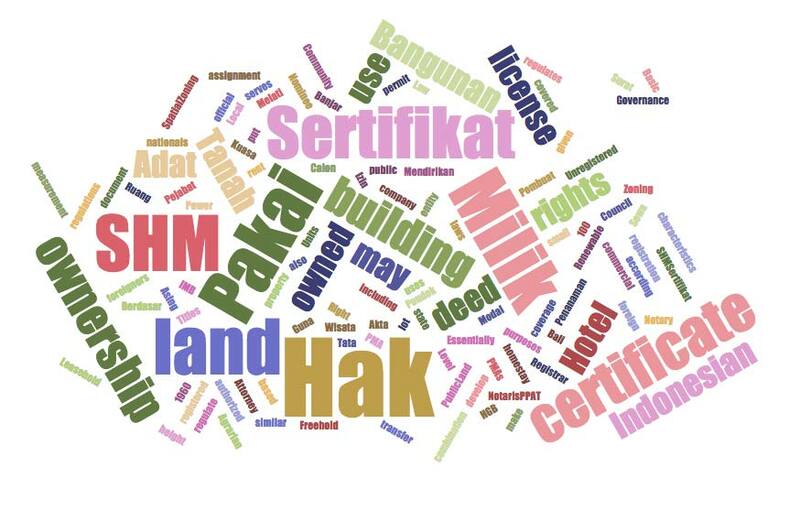 This article is simply a guide to real estate terms often used in Indonesia and their English equivalent (which in some cases, can be difficult to find), and should be used as a basic reference to some but not all elements of real estate prior to any property dealings. However, we do recommend that before taking on the task of buying or selling your property, that you acquire the expert advice of a lawyer, property consultant or speak with a notary, who can assist you further and give you professional legal advice. An Indonesian foreign owned entity, which can be 100% owned by foreigners. As we are not qualified legal advisers, we can only provide a general guideline to some of the terms often used in Bali real estate.